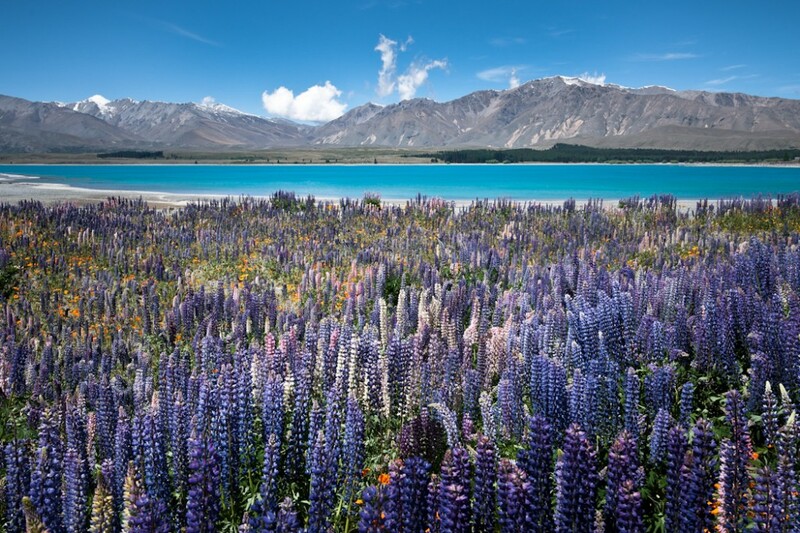 On my way… and thinking, any photographer near Lake Tekapo at this time of year could not leave out the obligatory Lupin photo from their image library… and I wasn’t going to be the first. Known locally as Connie Lupin, this annual burst of colour is named after Connie Scott of Godley Peak Station. In the 1950’s Connie imported a sack of Russell Lupin seed, a variety from the UK and spread it throughout the district creating a decoration in a dun landscape. Thank you to Phil Brownie for his contribution, Phil’s considerable social history and geographical knowledge of the Mackenzie Country make for interesting back stories.